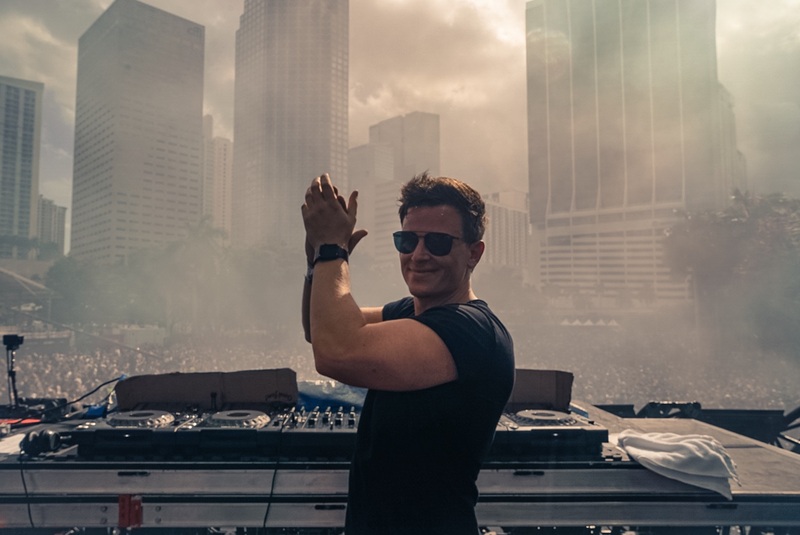 In case you’ve missed Fedde Le Grand at Ultra Music Festival in Miami this past Sunday, there’s a good chance you’ve missed out on the premiere of some upcoming FLG heat! Opening his set with ‘Dancing Together’ Fedde sends a firm message of inclusiveness. This powerful cut will be embarking a new era for both Darklight Recordings as well as Fedde Le Grand himself. Out on March 31st this release will set the tone for many more 2017 releases of Le Grand to come. Next of the Le Grand exclusives is the massive ‘Love’s Gonna Get You’, a collaboration with D.O.D. which will have you dreaming away to all summer festivals yet to come. You won’t be able to sit still for this one, that’s for sure! As a true Fedde fan you surely have spotted this new FLG rework of ‘Put Your Hands Up For Detroit’ somewhere before, banging as ever it got the Ultra crowd throwing their hands up like there was no tomorrow. Last but not least you won’t catch an exclusive more exclusive than this one!! Fedde dropped his upcoming collaboration with Dannic as final record of his set and the crowd lost it. Stay tuned for more to come on ‘Coco’s Miracle’.